The single most common of all dull skin causes is the body’s natural ageing process. As we get older, our skin begins to lose its natural glow and youthfulness, ultimately looking dull, tired and unhealthy. In addition, various other dull skin causes can contribute to the severity and rate at which the skin begins to look dull and lifeless. Smoking, poor dietary habits, underlying health complaints, pollution, exposure to UV rays and genetics – just a few contributory factors that can lead to dull and tired skin. The good news being that in all instances, there’s an effective and accessible solution. Fight back against all common and rare dull skin causes alike, with our bespoke skincare solutions and cutting edge non-surgical treatments. If looking for the fastest, easiest and most affordable way to restore your skin’s natural glow long-term, the HSA Dermal Clinic team is standing by to take your call. 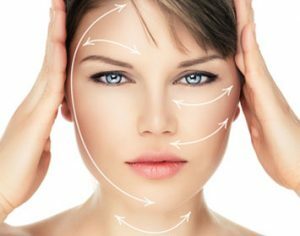 Restore the pride in your appearance and enjoy a healthy and youthful glow every day, with our advanced dull skin treatments in London. HSA Dermal Clinic has unrivalled experience and expertise in all aspects of dull skin treatments for men and women alike, effectively combating one of the most common signs of ageing through technologically sophisticated non-invasive treatments. Just a few of our most popular dull skin treatment options in London include micro dermabrasion, chemical peels, laser genesis, courses of premium topicals and many more besides. Whatever your requirements and available budget, we guarantee the very best dull skin treatment in London for all skin types and comprehensively low prices. Whatever it takes to exceed your expectations, you can count on the team at HSA Dermal Clinic to make it happen. For more information or to discuss your requirements in more detail, contact a member of our team today to organise an obligation-free consultation.